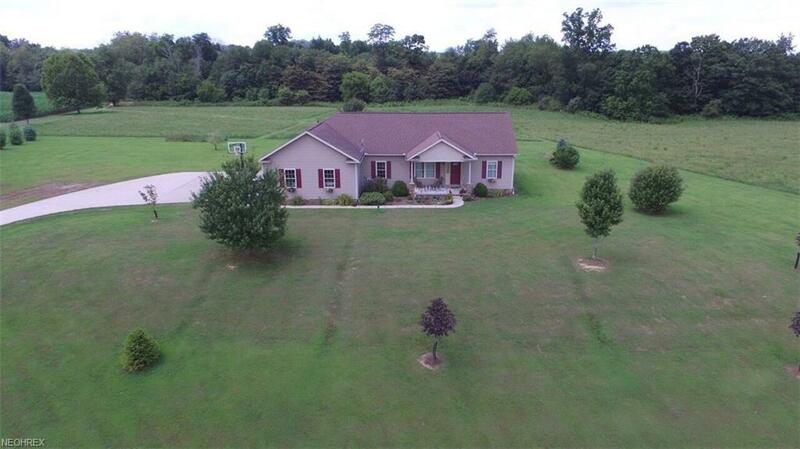 Welcome to this Gorgeous, Open Concept 4 Bedroom, 2.5 Bath home located on 5 acres. Amazing views, partial underground pool with composite deck and beautiful landscaping, great for entertaining guests. This home offers a partially finished basement with potential for another full or half bath already plumbed. It has a split plan with poured walls. There is a 2 stall attached garage, paved driveway, laundry on first floor with a master bedroom wing, office space and so much more!